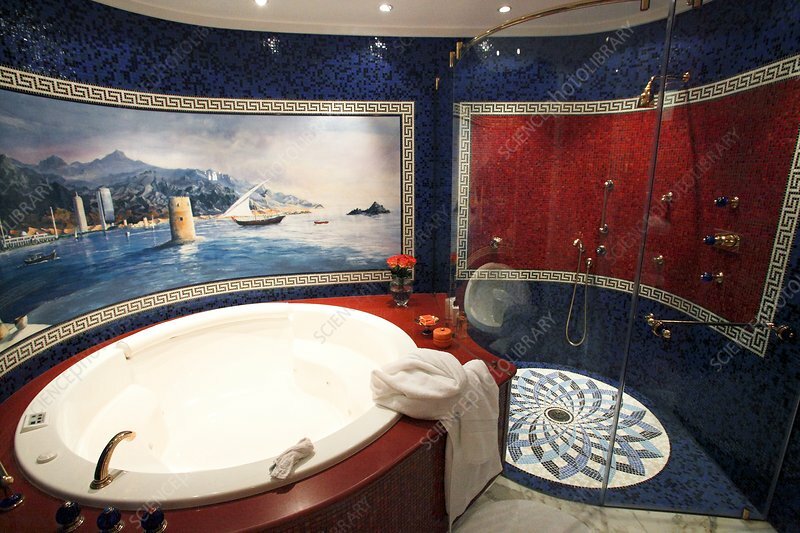 Luxury bathroom for a hotel or residential property. The artwork on the wall depicts a dhow sailing in coastal waters. This sailing vessel is traditional to the Indian Ocean and Red Sea regions. Photographed in Dubai, United Arab Emirates.